In the midst of the economic recession of 2008, a small group of Atlanta arts advocates banded together to create Idea Capital, an organization that gives grants to support innovative work by Atlanta artists. This year, Idea Capital is the winner of ArtsATL’s Luminary Kindle Award for Innovative Practice for its own creative approach to funding the arts. The grant to Rentz was just the beginning. The organization, now 10 years old, has given almost 80 grants to artists in Atlanta, and this year, Idea Capital awarded 12 artists with funding totaling $15,000, the largest amount in Idea Capital’s history to date. Idea Capital grants range from $500 to $2000 for projects in Atlanta. The objective is for grantees to create new, innovative and experimental artworks in genres including Visual Arts, Dance, Performance, Video, Writing, Curation, Music, Critical Writing and Digital Media. The projects have included everything from a writer using a Greyhound bus as his studio to an animator creating a video using bread dough for the characters. Organizers acknowledge that sometimes the projects fail, but they can still nonetheless lead to new ideas. “Idea Capital is still committed to the innovative, the risky, the controversial and the experimental in Atlanta’s art scene,” says committee member Oronike Odeleye. Having the freedom to explore and experiment is crucial for an artist. As the organizers of Idea Capital understand, this is a challenging cultural moment, when artists are encouraged to brand themselves by defining their studio practices and to perfect their artists’ statements in order to meet the whims of the market. In this context, Idea Capital gives artists a place to innovate and explore, and perhaps even fail, a place where the mixing of genres and collaborations between artists provide fertile ground for creation. 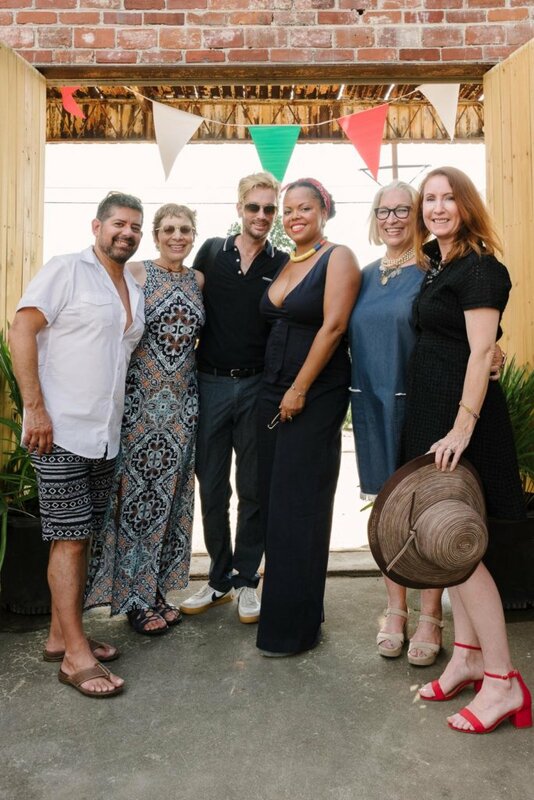 Stuart Keeler’s vision for Idea Capital as an organization “intended to galvanize the art communities of Atlanta with an inspiring means of providing opportunities funded by artists for artists” has indeed come to fruition. Idea Capital is helping Atlanta realize itself as a place for innovative art and artists. Join us on Sunday, January 28, at Ponce City Market’s City Winery as we honor Idea Capital at the second annual Luminary Awards.